Looking for a sweet Christmas story to read to your kids this year? "I Don’t Know Why I Did It" tells the story of the two fictional children of the innkeeper that first Christmas night. It is a touching story that is sure to bring the Christmas spirit to your home, inspiring love and charity. With beautifully illustrated pages by Brittany Nguyen, your children will love to read this book over and over! 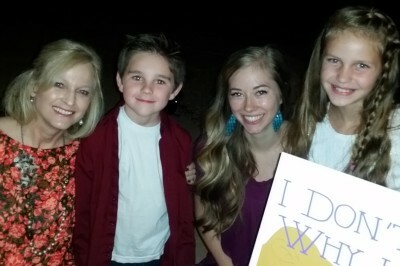 Here is a picture from our book launch with illustrator, Brittany, and our two cute models, Dylan and Lydia!